but alas, I digress: Christmas tree topper! So, did you figure out what my teaser picture project was going to be? There was a hint on the left side of the picture. Well I'm happy to say he's all finished and ready for Christmas! TA-DA! 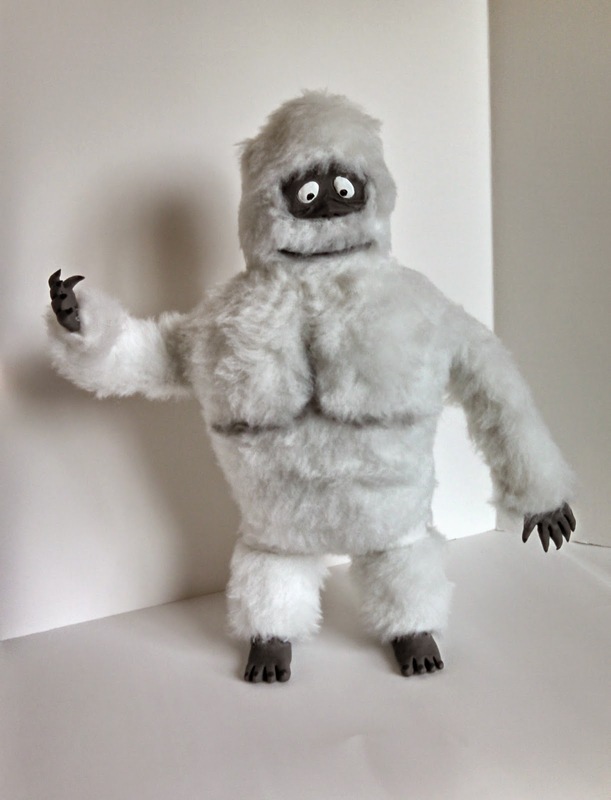 Bumbles the Abominable Snow Monster of the North! And lookie what he can do! This idea was spawned a few weeks ago, well, Thanksgiving weekend actually, and I haven't been able to get it out of my mind. 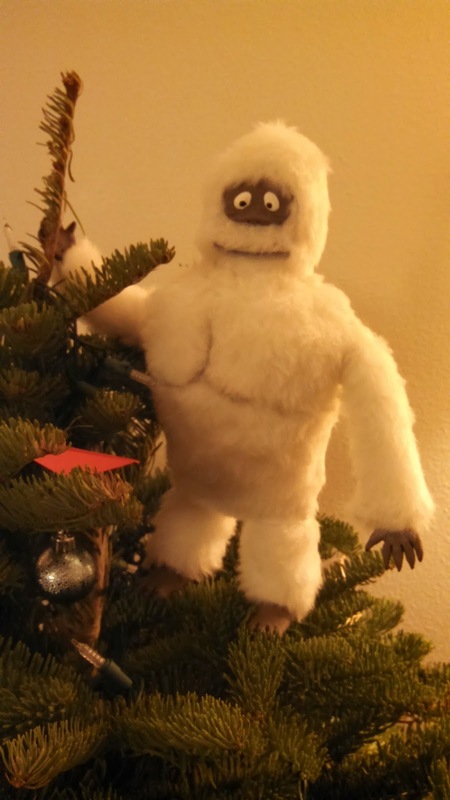 Rudolph has always been my favorite holiday movie, and as much as I adore that poor unwanted polka-dot elephant, I thought Bumbles here would make a better tree topper. I did make him a star to put on top of the tree but I haven't decided if I want to attach it or not. 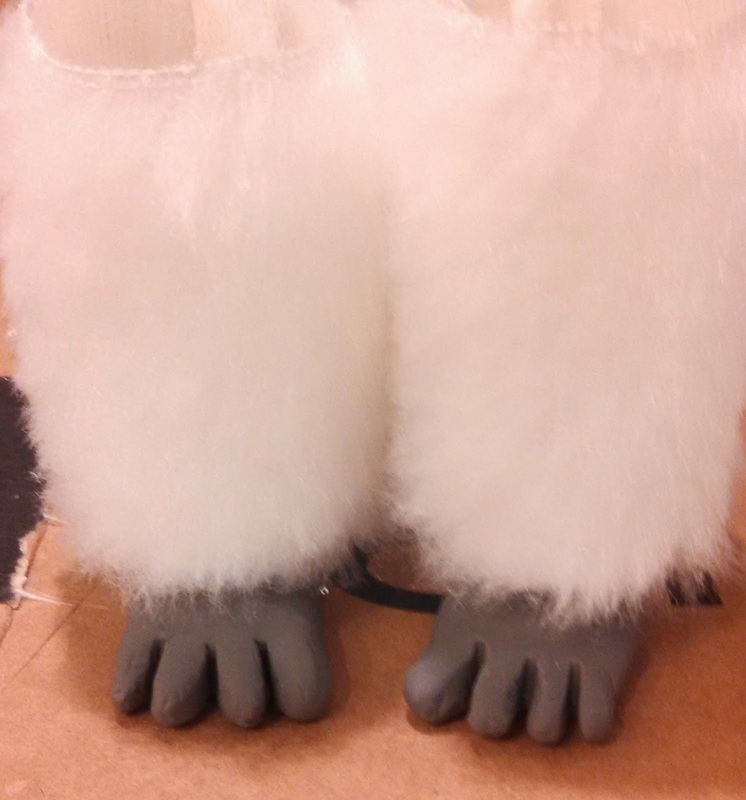 Anywho, here are some progress shots of working on Bumbles. First I drew a little sketch to help me keep the proportions accurate. 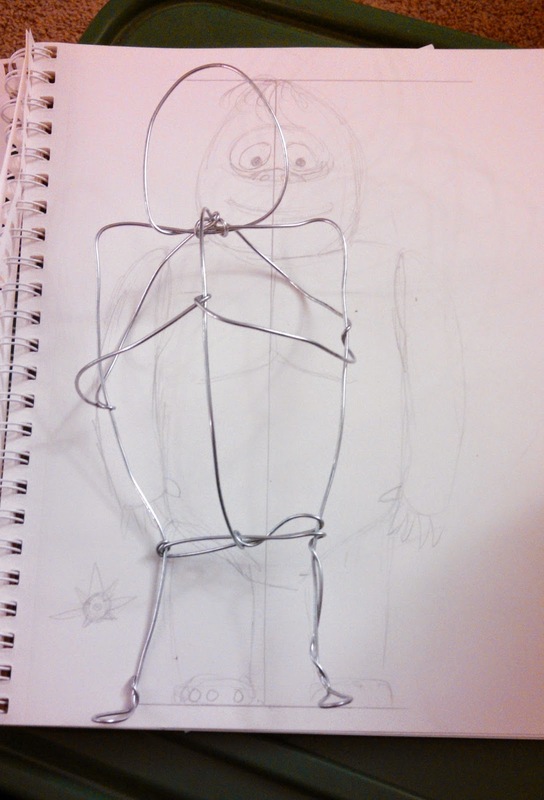 Then I made a wire skeleton. This is before I put the arms on, which are a softer wire so they can be repositioned easily. Then out came the sculpy clay. 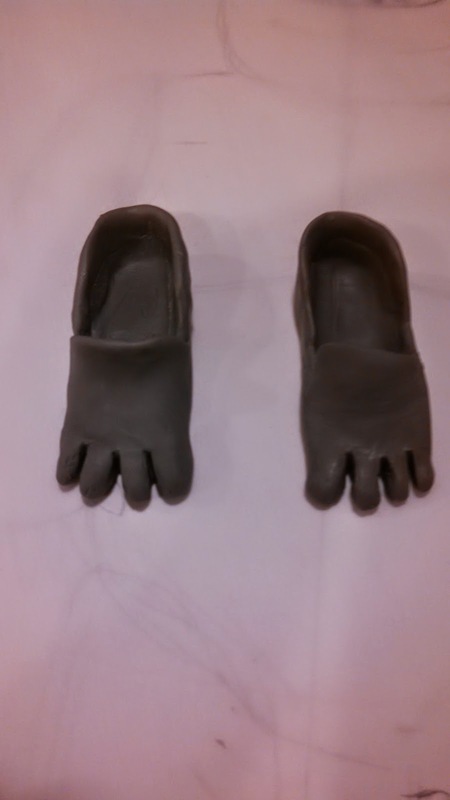 Little feet look like loafers with toes. 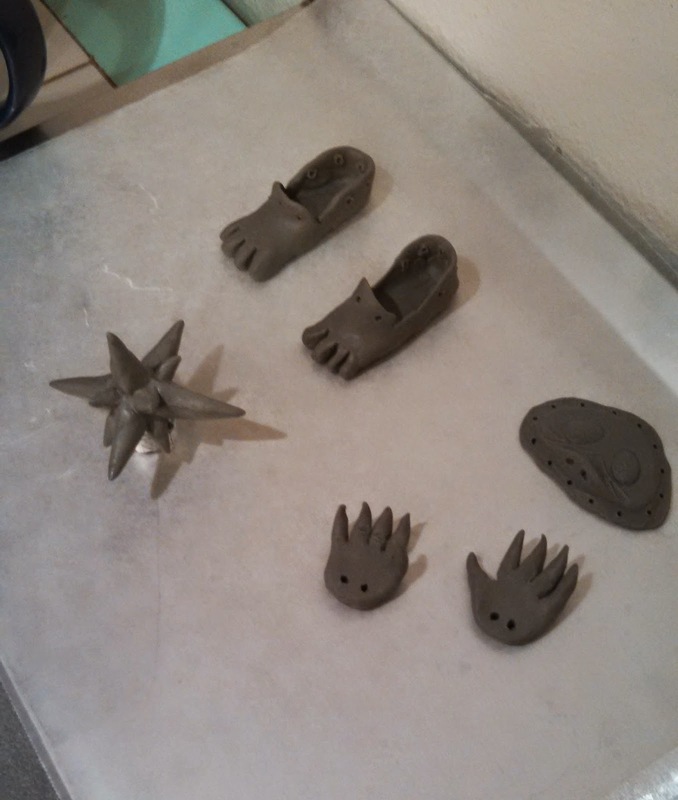 Here's the clay pieces all ready to bake. Also, that is the star that I can't make up my mind about. 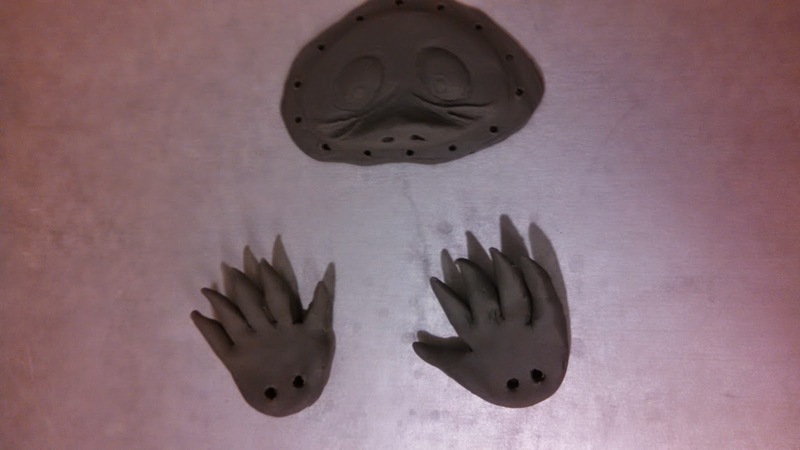 You may have noticed the little holes around the edges of all the clay pieces. Well, those were sewing holes. This one's a bit blurry but it's the only photo I have of putting the pieces together. First I made the legs, then put the skeleton in them and stuffed around it. Then the body sewn to the legs and up the sides then stuffed up to the chest. 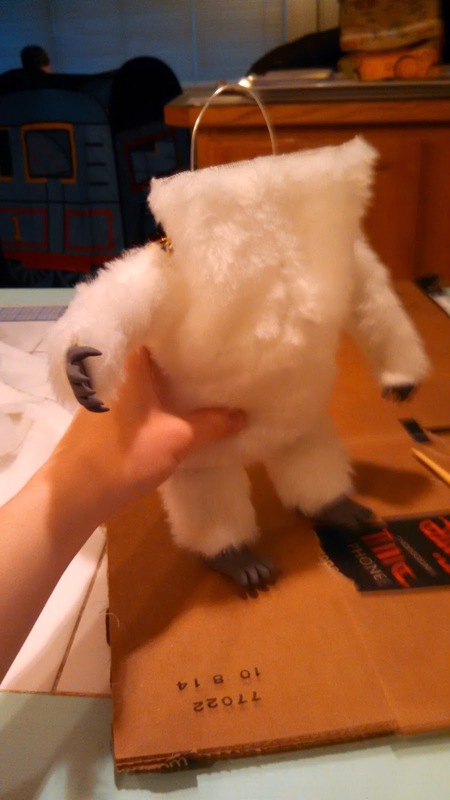 Next the arms, stuffed the arms, sewed up the rest of the body and stuffed it. I stuffed the head separately and then stitched it onto the body. Whew! Now he's ready to chill in the tree. 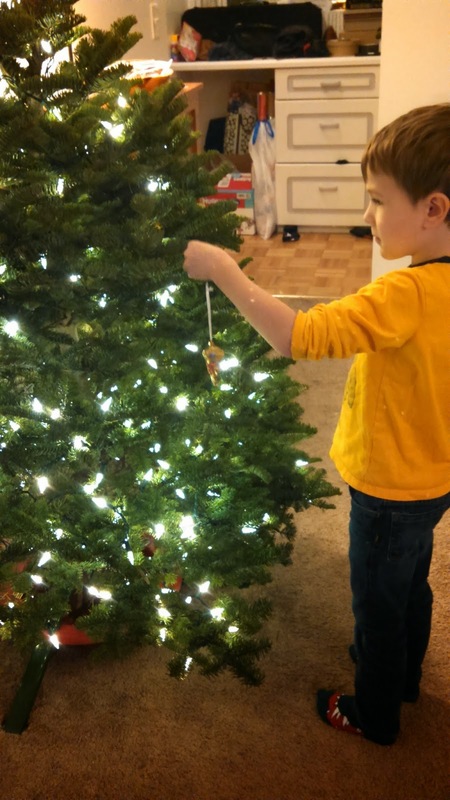 My little man helped decorate the tree. And here it is all finished with the new topper and tree skirt! And now, just for giggles, Bumbles making a new friend.